Join Us! No Excuses. No Hot Pets. The summer weather is upon us and our emergency dispatch team has been receiving calls every day about animals being left unattended in hot cars. There is no excuse for leaving a pet unattended in a vehicle and this summer we need your help to share this important message and save lives. Be a No Hot Pets ambassador this summer. Join thousands of Canadians who have already taken the No Hot Pets pledge online and receive your free car decal. Be sure to spread the message on social media about the dangers of leaving your pet in your vehicle using the hashtag #nohotpets. Visit Nohotpets.ca to learn more and take the pledge. Tails are wagging in support of the Friends for Life! Walk™ presented by Pedigree®. Join us on the weekend of September 24th & 25th at one of our 16 locations cross the province and raise funds for animals that may have been abused, abandoned, neglected or no longer wanted and give them a second chance to find their fur-ever home! Register today at friendsforlifewalk.ca! Summer is a really fun time for our pets, but do you know what you need to avoid and what you need to do to keep your pets safe? How can you tell if your pet is overheating? Do they have adequate supplies? 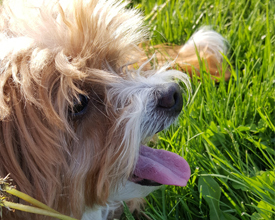 Check out the Ontario SPCA blog for great tips on summertime pet safety and enjoy a great summer with the entire family! The Ministry of Natural Resources and Forestry reported earlier this June, 76 cases of confirmed raccoon strain and fox strains in parts of southwestern Ontario. Along with having your pet vaccinated by your veterinarian, there are ways to keep your family and pets safe. 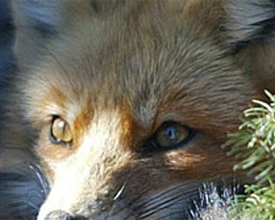 Check out a recent blog post with tips from the ministry’s website for tips and information on rabies. The second annual Got a Pet? Get a Vet!™ contest has wrapped up and animals everywhere are celebrating in support of this year’s winner. We received over 2,000 submissions and 16,000 votes in recognition of the hard work and dedication of local veterinary clinics across the province. Thank you to everyone who submitted a nomination or voted for their clinic of choice. We are pleased to announce this year’s winner of the 2016 Got a Pet? 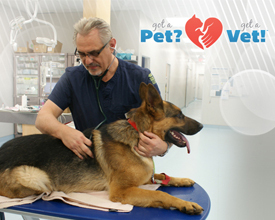 Get a Vet!™ contest… the Princess Animal Hospital from Kingston, Ontario! Need a purrfect and unique thank you gift for your child’s teacher? Look no further than Paws & Give. 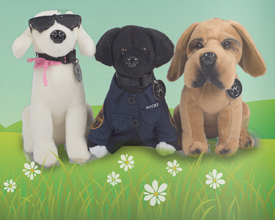 Choose a symbolic gift that matches with their favorite pet, or a gift of greatest need. Then simply download and print your certificate or send an eCard. Your gift will change an animal’s life, save you time and make a teacher smile!